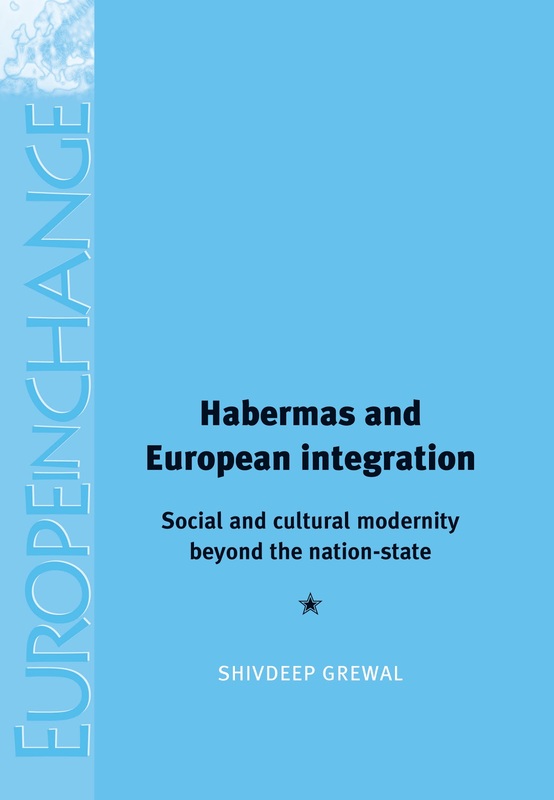 Back in 2009, I was at work on the final draft of Habermas and European integration, my recently published book. The fate of the eurozone was already by then a cause for concern. I had chosen from the book’s conception to focus on the ‘lifeworld’, the concept in terms of which German philosopher Jürgen Habermas has discussed the sphere of everyday experience. This qualitative orientation led me to a slightly different take on Europe’s burgeoning crisis to those of either political science or economics. So, too, did engagement with literary and philosophical works, a feature of Habermas’s essays. In at least two ways, then, Habermas’s work helped me to understand and to write about the ‘cultural pessimism’ and ‘morbidity symptoms’ (to borrow terms from Thomas McCarthy and Philippe Schmitter, respectively) that have characterised European politics in the wake of 9/11; building on Habermas’s insights, I have come to situate phenomena as different as the Constitutional Convention and the assassination of Pim Fortuyn within a single overarching theoretical framework. Among the literary works referenced in Habermas and European integration are those of English novelist J.G. Ballard. I was struck by his sensitivity to the complexities — and attendant morbidity symptoms — of contemporary European life. My interest in Ballard and others such as Michel Houellebecq grew until I was persuaded to devote an appendix to these ‘writers of social science’. I had a vague intention of one day developing a method of research informed by their ideas — the article below may be thought of as an effort in that direction. Writing it for a local newspaper in 2009 offered an alternative to the strictures of scholarly publication. It also gave me a new, and quite different, audience for my research. In writing for such a publication, I was following in Ballard’s footsteps. He too had broached philosophical themes where perhaps this would not have been expected. During his tenure with the trade journal Chemistry and Industry, for example, Ballard once devoted an editorial to Goethe’s philosophy of science. J.G. Ballard is usually associated with Empire of the Sun, his best-selling novel. Set in Shanghai during World War II, it was the subject of a Hollywood adaptation by Steven Spielberg. It may surprise some, then, that Crash, another of Ballard’s well-known titles, is set closer to home — some of the action occurs in Northolt. I’ve been studying Ballard’s work as part of the research for a book that I’m writing. But I’m also a lifelong Ealing resident, with memories of Wednesday morning swimming lessons at Northolt baths, so my interest is personal as well as academic. I thought I’d try and find the Northolt of Ballard’s imagination, the places that inspired him. Perhaps they’d shed light on the man and his work. I began with the westerly stretch of the A40, before it turns to motorway. My first awareness of it came in 1977, during an assembly at Oldfield First School. The headmistress introduced a man from the council. Gesturing at diagrams, he spoke of a ‘flyover’ that would one day carry traffic over the junction with Greenford Road. It appeared a couple of years later. In retrospect, it could almost have been designed by Ballard himself, a quicker route to Northolt for his restless characters. We’re well used to the flyover now. In fact, it’s hard to convey the interest this sort of development would have generated back then. That’s the era Ballard chronicles in Crash, when motorway travel was emblematic of the future, almost the stuff of science fiction. Though not the most scenic of walks, it’s possible to get to Northolt from the flyover by following the A40. That was the path I chose. Earlier, I’d Googled ‘Ballard’ and ‘Northolt’ but turned up little in the way of new information. I thought the locals might have answers. My questions raised eyebrows. Finally, outside Northolt tube station, a kindly attendant agreed to help. Though no longer a resident, he’d grown up in the area. I asked him of the 1970s. Had there, as suggested in Crash, been stock car races in ‘Northolt Stadium’? He was emphatic on this point: there had been neither a stadium nor stock cars, though, come to think of it, there had once been a pony track nearby (it opened in 1929, the year of the Wall Street Crash). Could it have hosted the occasional stock car race? Again, he shook his head: it had been closed since before the war. However, it left its mark. For the streets of a nearby estate bore the names of famous racing venues. What of ‘Northolt General Hospital’? Was this real? Apparently not, another of Ballard’s fictions. And the multi-storey car park that features again and again in the pages of Crash? The station attendant laughed: there had never been room for Northolt’s own beleaguered motorists, he told me, let alone visitors from out of town! I had more luck with my final question. He said there had once been a police station nearby, and that there had probably been a car pound attached to it of the sort mentioned in Crash. I’d turned up some interesting leads, though these weren’t conclusive. I knew from previous research projects that more interviews would have to be conducted before an image from the past stood before me, the Northolt that Ballard had seen. Category: International Relations, Politics	23 Comments.